The Vandy Vape Berserker V1.5 is the latest RTA from popular vape manufacturer Vandy Vape and Moldavian reviewer Alex from Vapers MD. It is the follow up to their original Berserker, which was an RTA notorious for its tight draw. 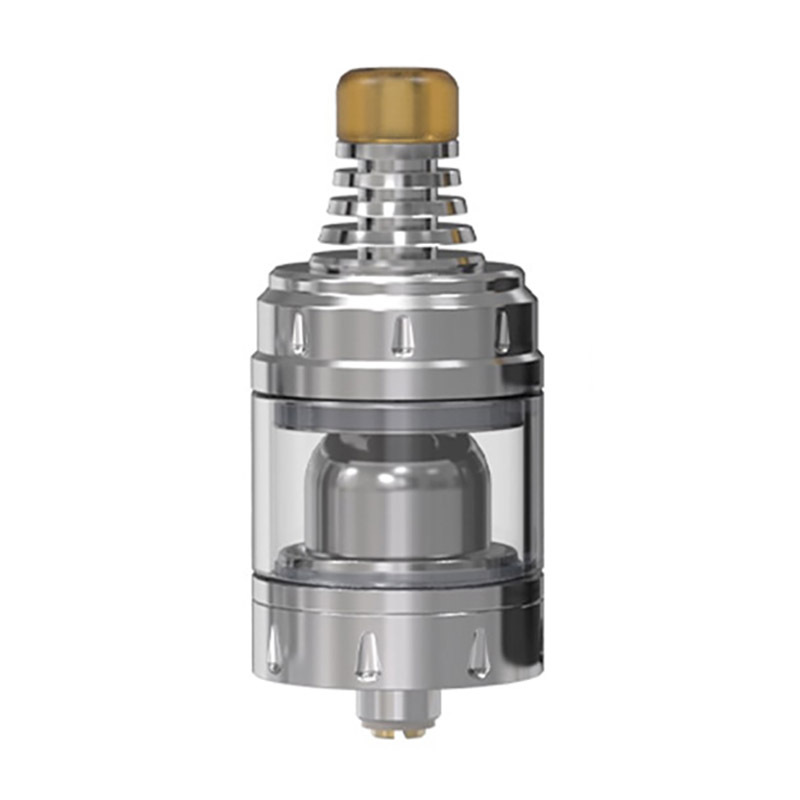 The V1.5 is a single coil RTA that is made for MTL vaping at low watts, good for use with nic salt e-juices. The Berserker V1.5 is 24 mm in diameter and features two large ports for filling your RTA on top and five airflow adjustments to dial in your vape. It has a 3 mL capacity and comes with two tank options, a glass and a metal one.